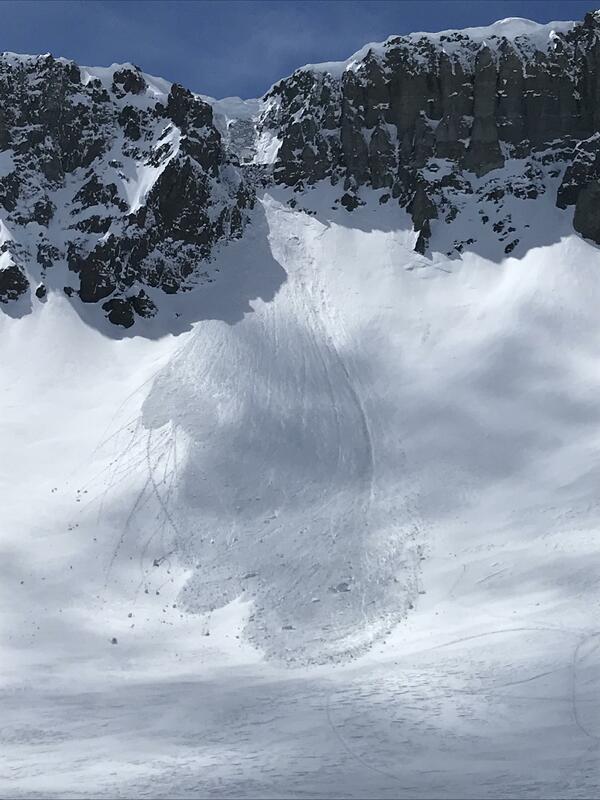 The BWRA has had a unique & active avalanche cycle this week. 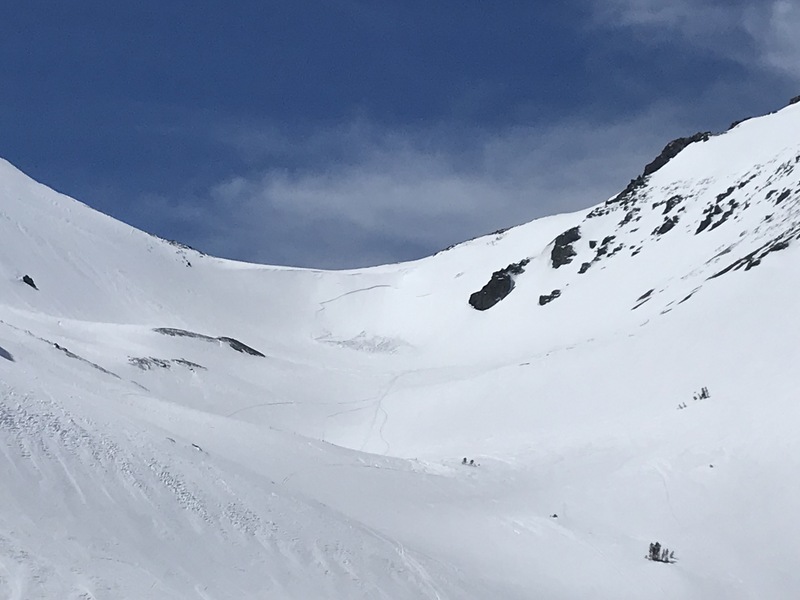 We have been observing new avalanches all week with a variety of forms including: Loose Wet, Wind Slab, Cornice Fall, & Wet Slab. Many of the avalanches have released naturally but some have been initiated by skiers & snowmobilers, with very little information provided. 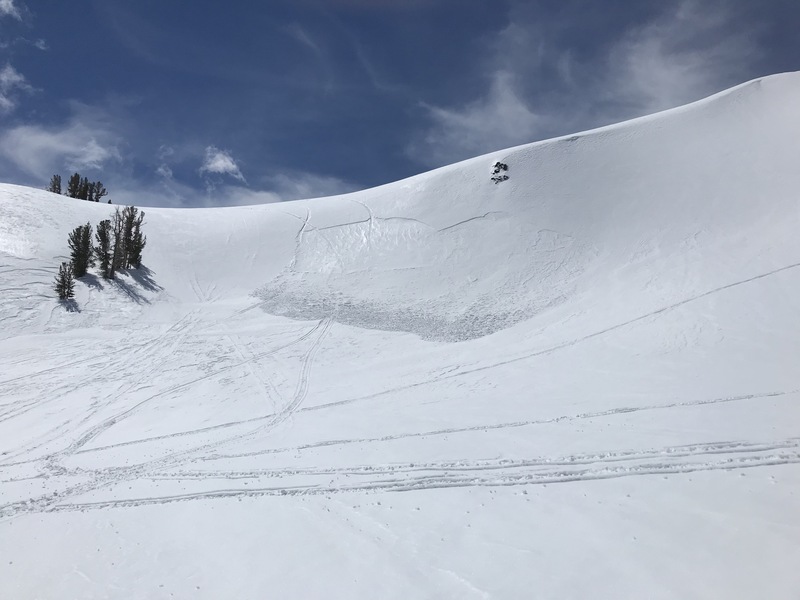 Photo 1 is of a Wind Slab avalanche, in Koenig Bowl, which can be seen from a great distance away & was not there on Saturday. It is unclear if the tracks underneath the debris are associated with the release mechanism of the slide. Photo 2 is in the Deadman Crk drainage on a NE aspect with two snowboard tracks through the avalanche starting zone. These two avalanches have the same Wind Slab problem that slid on a density change within the most recent snow, roughly 15cm (6") deep. Photo 3 is in the Leavitt Cirque on its West wall, & was a large Cornice failure. Lingering pockets of Wind Slab & large growing Cornices are still scattered across the alpine & could prove reactive to triggers. The lack of a substantial overnight refreeze will allow for continuous melting & loosening of snow grains. Sunny skies with fast moving patches of clouds. Temperatures in the sun were around 40F. West to Northwest winds were strong to moderate & blowing snow was observed. Surface snow was either being transported by wind or baked by the sun.